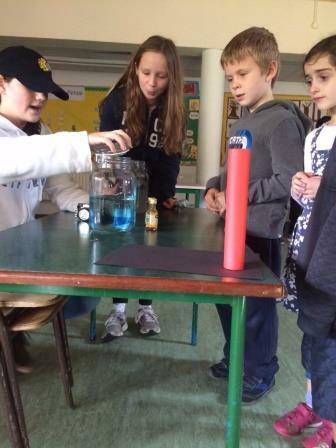 Science in B.S.P - Bray School Project N.S. Science is one of our favourite subjects in B.S.P! 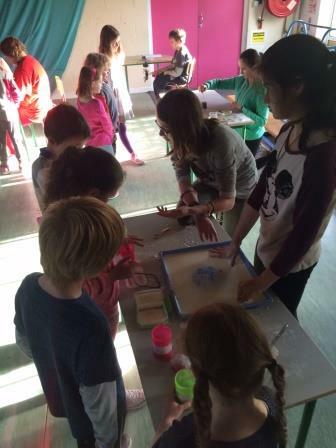 Each week classes are busy exploring, hypothesising and experimenting! This page showcases all the wonderful scientific work done in our school. Read on to learn about what we have been up to since the beginning of the year. 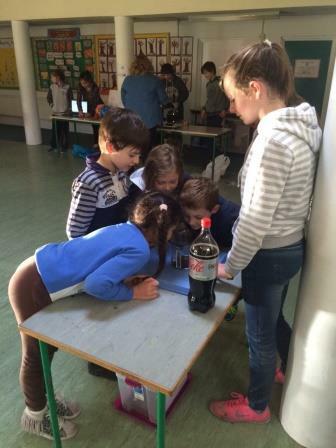 As part of this year's Science Week, sixth class ran a science fair in the hall. They created a fabulous array of demonstrations which were enjoyed by all classes in the school. Two engineering lecturers from I.T. Tallaght visited the school in November. They brought prosthetic limbs whose parts had been created using a 3D printer. Working in groups, students helped to assemble five hands. These prosthetics will be sent to a charity in Africa helping children with missing limbs.